The box comes with 3 smaller boxes, a key and the number 25. Gina will also have these awesome Boxes in other themes! Sweet 16, Valentine, St. Patrick's Day and lots more ! I painted the 25 and one of the boxes red and the rest of the boxes and the key gold. I used the MMI Christmas paper. Side view of the box. Thanks for looking everyone ! 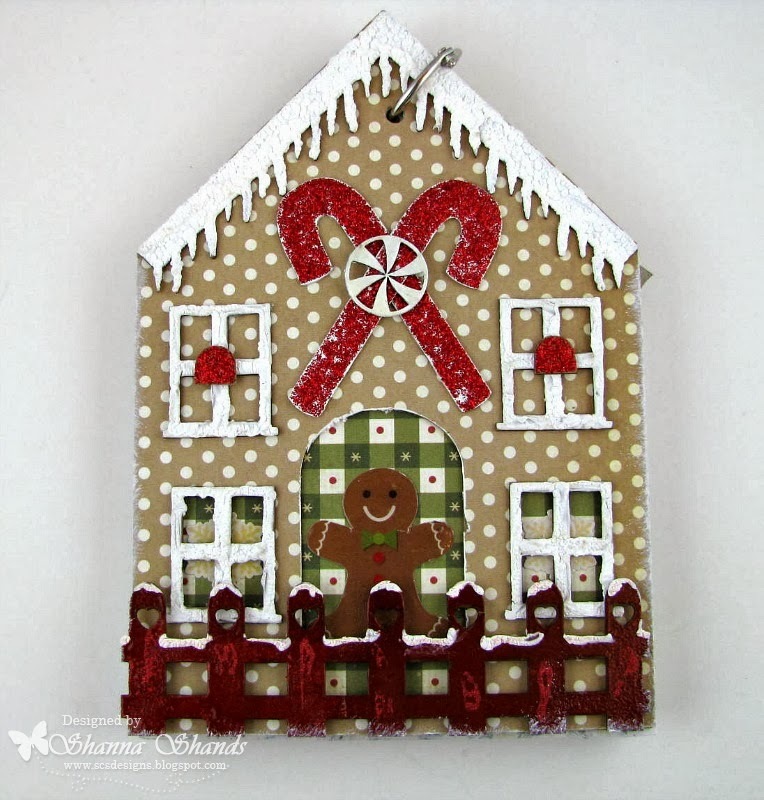 Labels: Christmas, Composition Box, Deann M.
Hello Everyone, Heidi here! I hope you had a wonderful holiday! Today I'm sharing a layout using a few fun items from Gina's Designs. When I got these cottage windows I knew I had to create a page using them. Although it is far from wintry or Christmas"ish", I just had to share it today. The paper is from my stash and is a ruled design, but done in pink (of course my favorite color, right?) I thought it would be ideal for a little girl's picture or a baby picture, which I did not have either of. I thought against putting my boys pictures in the window. Ha ha! 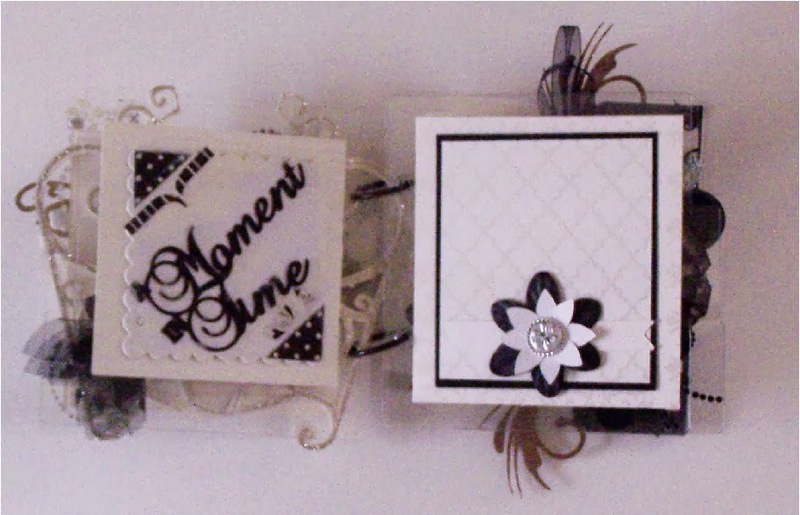 I just love the little sentiments now available at Gina's Designs! Merry Christmas, friends! I hope you are having an awesome day! Marjolaine here with a short post to show you what I have done with the word tree. 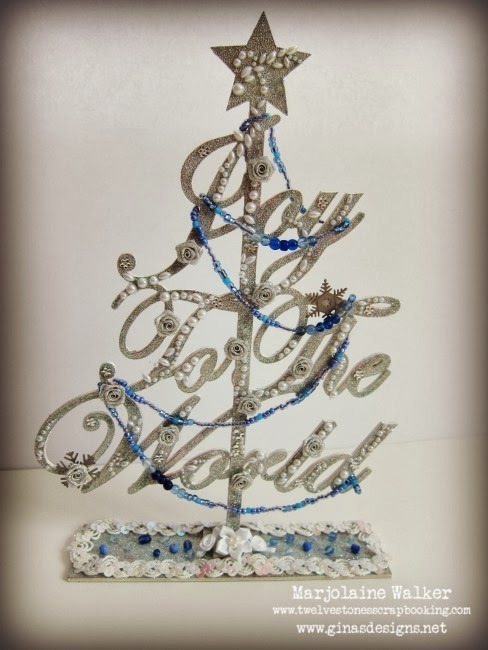 I used silver Zing embossing powder to cover the tree, stringed some blue beads, added some bling, flowers, a few snowflakes and ribbon and my tree was ready to be displayed with the rest of the decorations. Hi everyone. Shanna back again to share a fun holiday mini that I made! But before I get to my creation I would love to tell you quickly about a chance to win a $25 gift certificate to Gina's Designs. We would love to reach 500 likes on our Facebook page by January 1, 2014. If you already like Gina's Chipboard Design's then you are already in for the draw, but we have to make it to 500!!!! So tell you friends they have a chance at a chippie spree for your chance to win! Also did a little video in case you want a little more detail. Hi everyone, it's Mary here. I can't believe that Christmas is only seven days away! Today I have a configuration style design made from the Bagatelle Boxes: Starter Kit. These boxes are great! You get 12 in the kit (two of six different sizes) and once you have the boxes assembled, you can attach them in any arrangement you like. I had so much fun with this project! 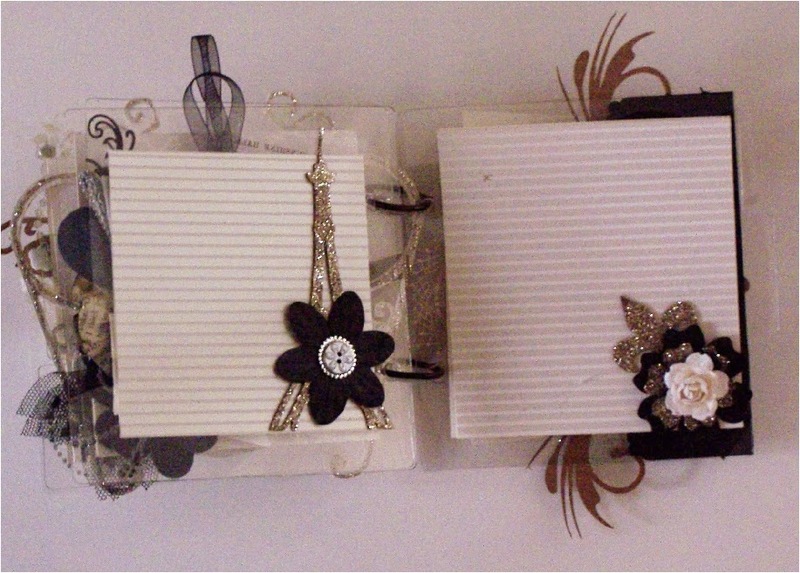 I used the new "Couture" papers from Graphic 45 to line the inside and the outside of the boxes. 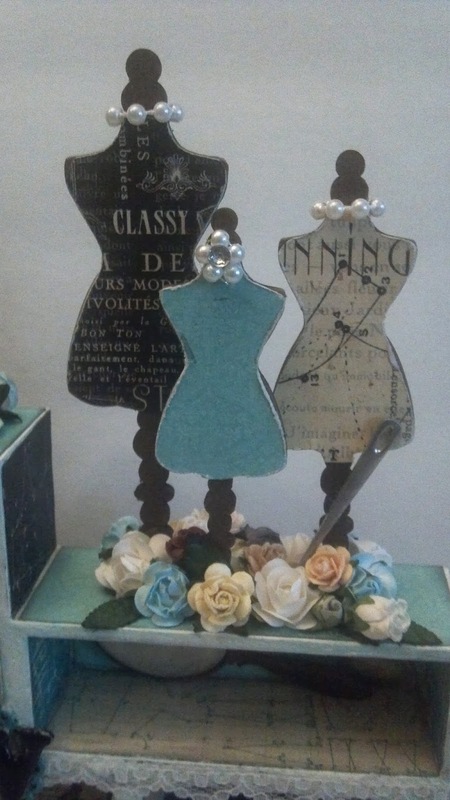 I also used the paper on the wooden dress forms! I used several items from the Doily Box: SEW collection. The needle was embossed with silver embossing powder. Here you can see the doily and sewing machine from the Doily Box: SEW collection. 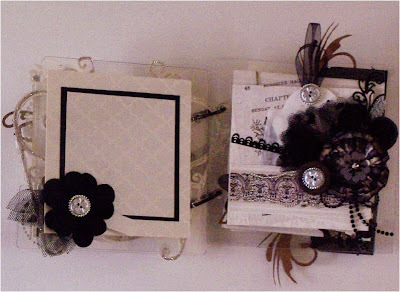 The sewing machine, hinge (Hinge Shape Set) and filigree frame (Filigree Frames Shape Set) are all make from chipboard. 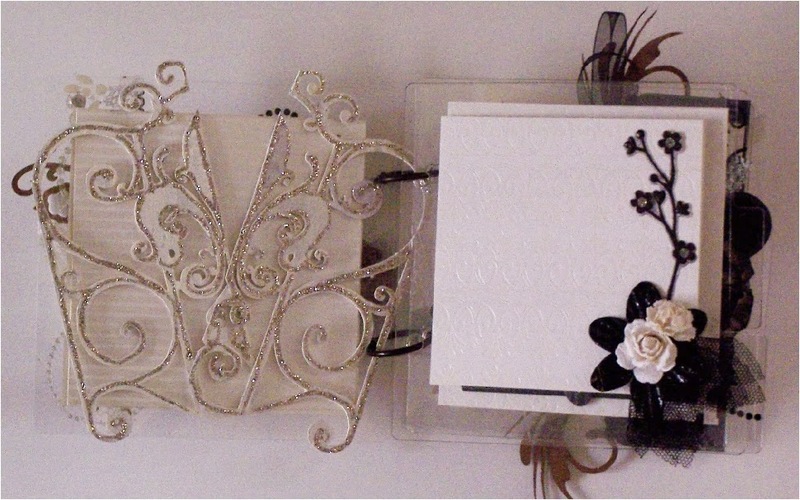 These pieces were all embossed with embossing powders. Just a tip when embossing, if you are using a light color or want the true color of the embossing powder, gesso first. I cut the filigree frame in half and attached one of the images from the paper line to it before attaching it to the side of the box. Here are two more of the chipboard pieces from the Doily Box: SEW collection. The "sew" was given a serious workout. I had some embossing issues, but after four times under the heat gun, I got it right. The chipboard did not fall apart or warp on me. I then attached it the the blue embossed chipboard frame. You can also see a mirror in the corner. 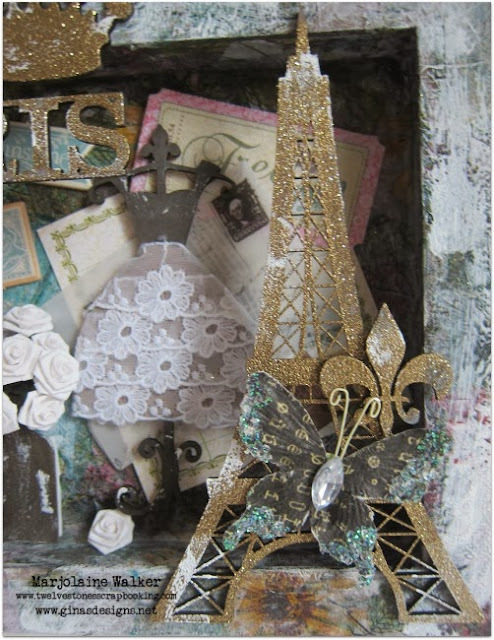 This came from the Parisian Shape Set. It comes in two pieces so it was easy to emboss the "glass". The base of the mirror was inked and then coated with glossy accents to give it that high polished look. 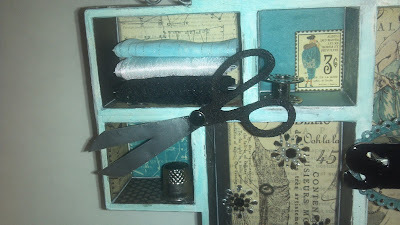 I love how this chipboard scissor turned out! The handle is black and the blades are silver embossed. I added a brad to the center. They tuned out darling! Here you can see the chipboard zipper, dress form and button (the dress form is sitting on it). The zipper and the dress form were all embossed. The button has a piece of the paper attached to it. The dress form is on a stand, but I cut it off and attached her to the button. 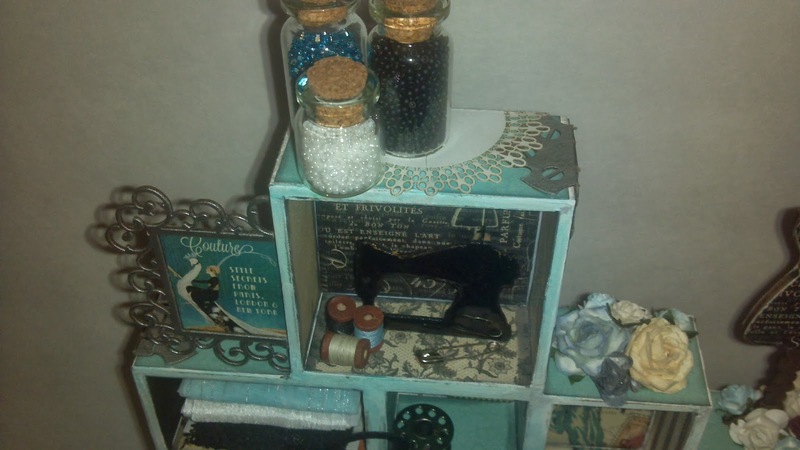 I love that I can alter the pieces to fit my designing needs! Thanks for stopping by the blog today! I hope you all have a great holiday season! 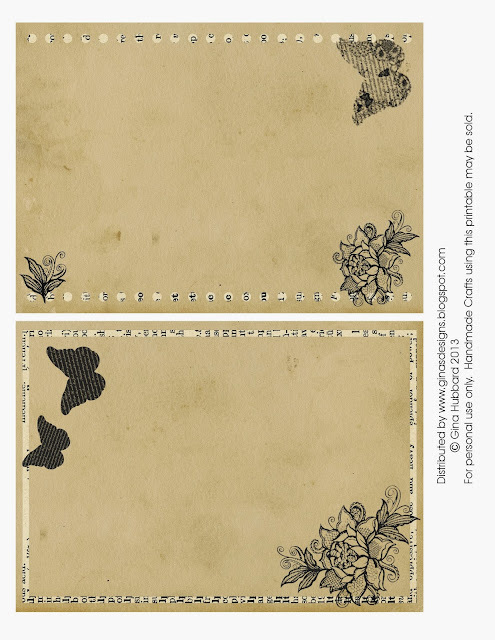 Embossing Powders: Lindy's Stamp Gang, Tim Holtz, Stampin' Up! Hello everyone! I painted my project with acrylic silks, acrylic paint, lumieres, Twinkling H20s,and liquid pearls. The raised design is texture paste applied on a Prima stencil. I've embellished it with fairies, flourishes, and a feather. 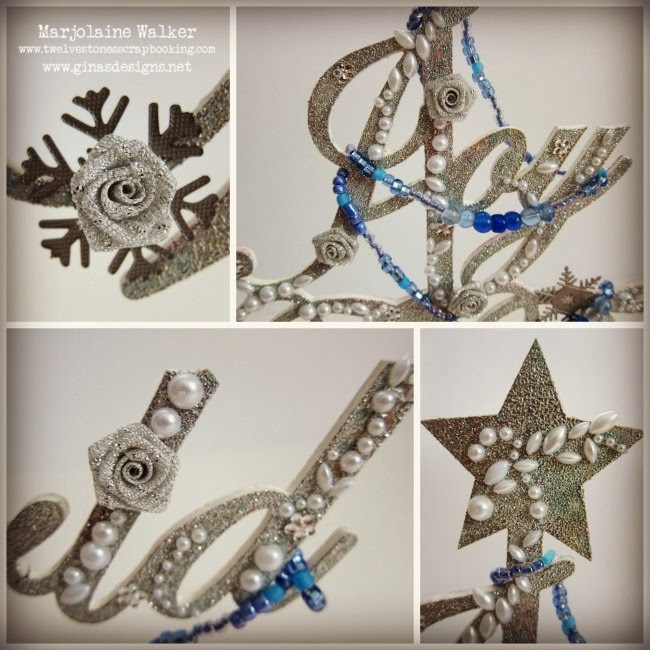 Hello Everyone, Kim here today to share my latest project with you! Now that the Holiday Season is upon us, its time to get thinking of some unique gift giving ideas, and this Create Banner by Gina's Designs is definitely one of them! 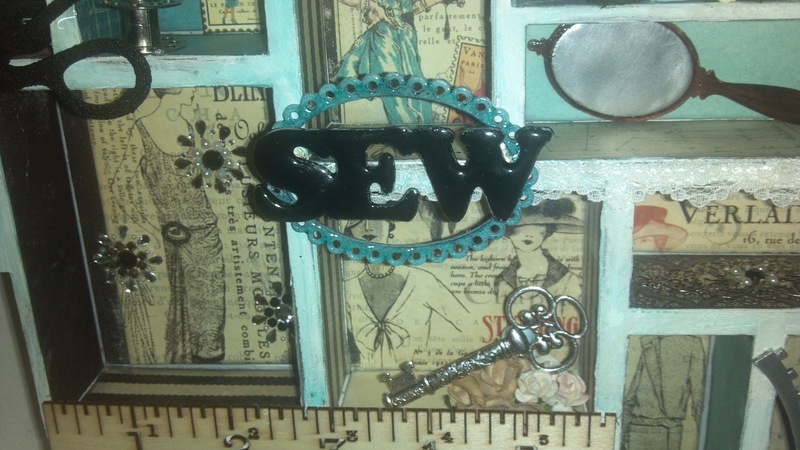 It was so much fun to make this, and for someone who is creative and crafty this would make a great banner to hang in a craft room or office. The banner itself comes with 3 parts to each piece, the back piece, the top piece and the individual letters. 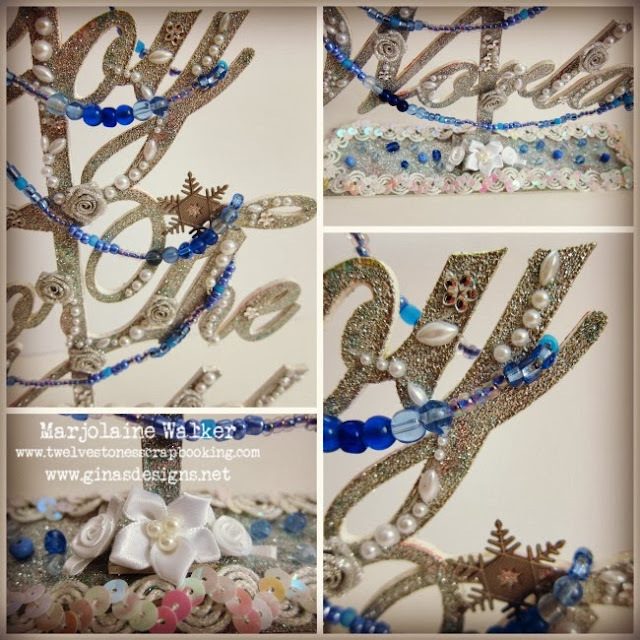 I have kept the banner in a lovely shabby chic style and used some antique lace, and vintage material to create the flowers you see at each end of the banner. 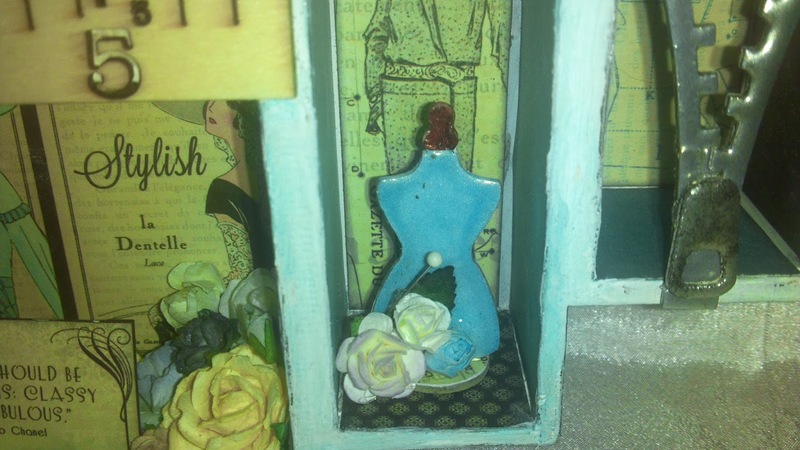 Below here you can see some of Gina's other pieces I have added here the Steampunk Dressform, which I painted and embossed, keeping in the same vintage color tones. 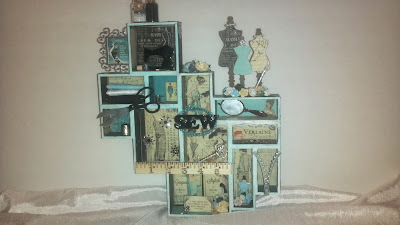 The last letter in create, is this E, and again, I have used a few more pieces of the great chipboard pieces from Gina's. The Eiffel Tower you can see done in the same style as the dressforms. With paint and embossing powder, you can really change the look of these pieces. 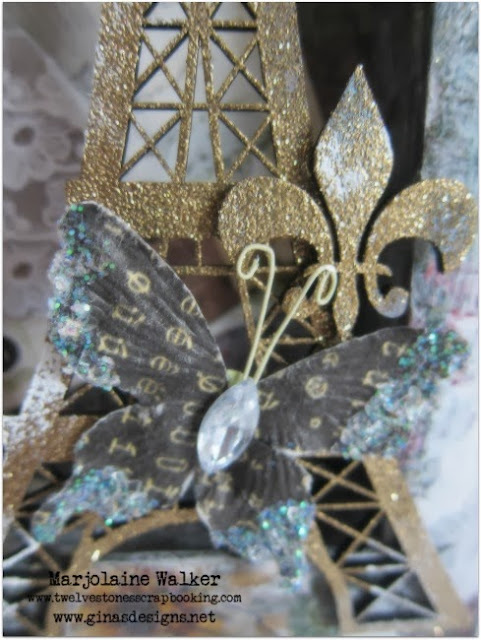 The Fleur De Lis at the top centre here is painted white and embossed with white glitter. 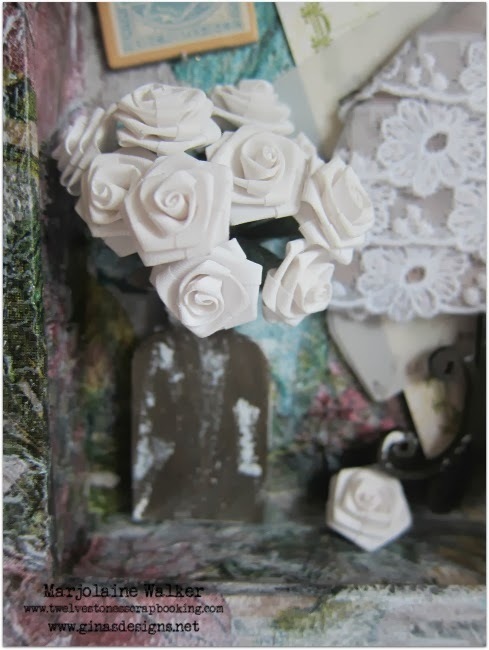 I have also added one of my handmade flowers, the rolled rose on the right hand side, with a little paper flower in the middle. Here is a close up of one of the Fashion Cameos I altered, I really love these, they really add a vintage flair to a project. Below here is one of Gina's Words & Phrases 1 set, the word Dream is covered in some texture paste and I used some distress ink around the edges and added a bit of glitter to it to make it shine. And finally here is another of my favorite pieces, it is the Penny Farthing, Antique Bike set, I really love these bikes they are so much fun to alter, and I have continued the same look on this with the paint and embossing powder. I really hope you like my project today, it was a lot of fun to "create" and I am sending this off as a gift to a friend, so I am excited for her to receive it. Thanks for stopping by! This is the final printable in our November dictionary page series. Use these pages to punch or die cut shapes, create backgrounds or mats. 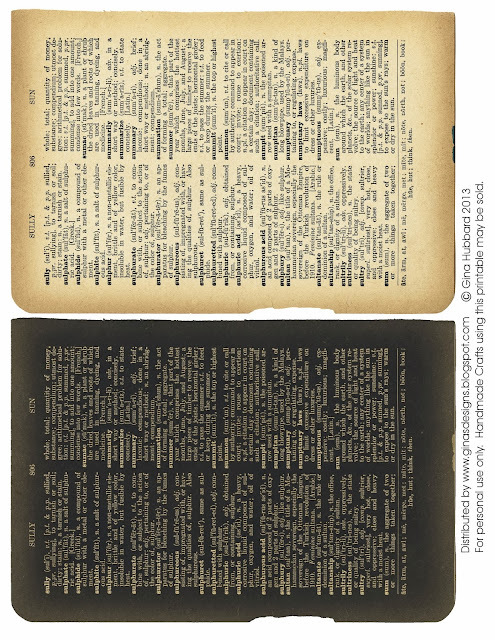 If you missed any of the dictionary page downloads, check out the previous Friday posts in November to download them all. To save the image, right click and save! 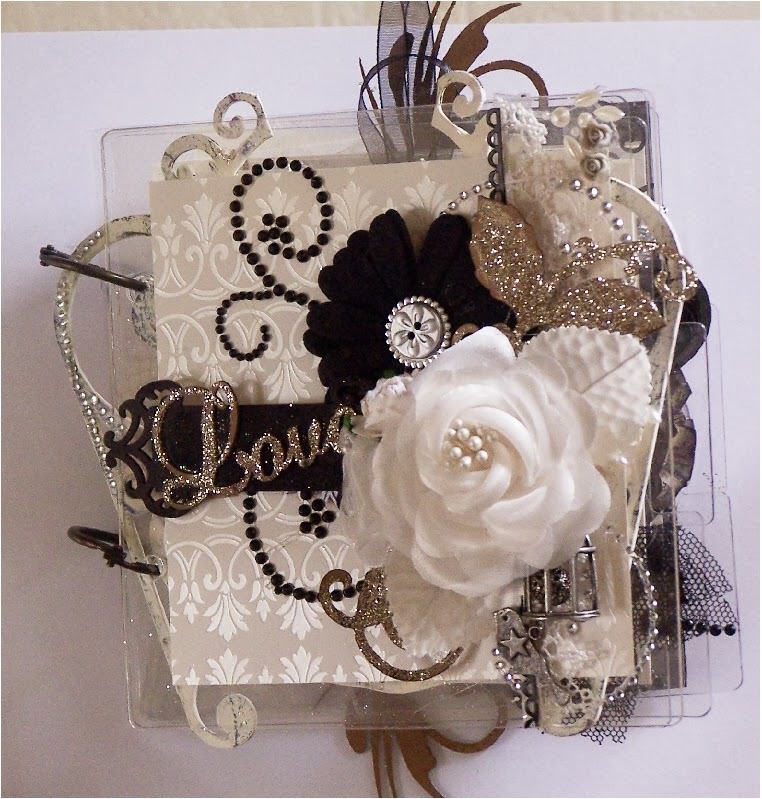 Hello everyone, Rashida here with you today to share my black and white acrylic mini album. 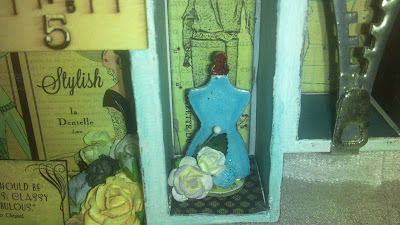 I had a great time making this mini because of all the chipboard and flowers. Please enjoy a few photo's below! You can find more on my blog. Thanks so much for looking. Today's printable is a set of 5x7 pages; great for journals or mini albums. Use with the coordinating items in the series or combine with your favorite paper line. If you missed any of our dictionary page series, be sure to check out the previous Fridays in November to download them. All you need to do is right click on the image and save it to your computer! 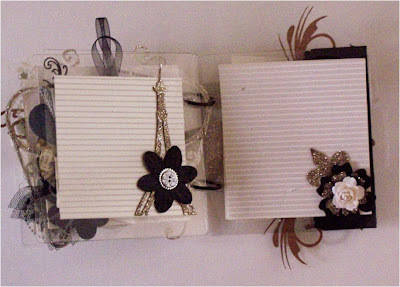 Roll up flowers are so easy to create and make a lovely addition to any project. 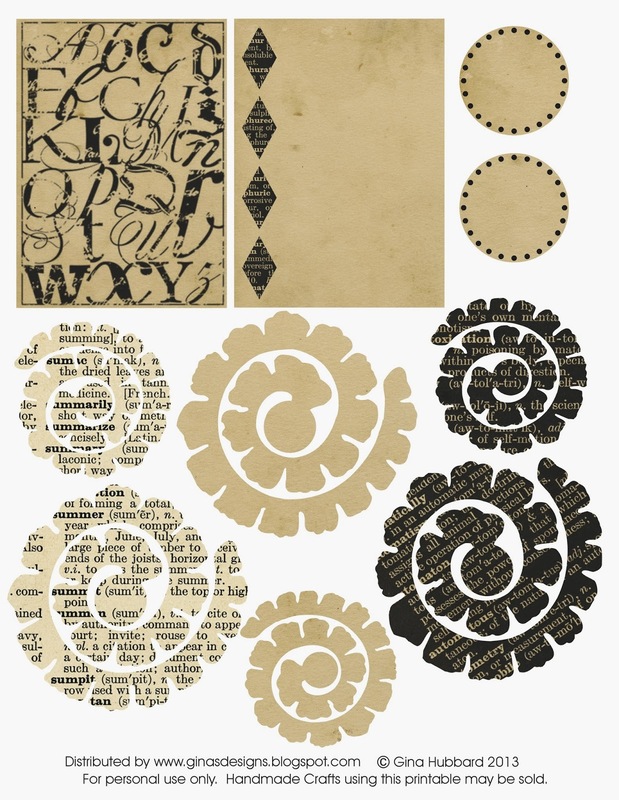 Today's free printable has some flowers in our dictionary theme, in two sizes along with some cards and accents. If you missed the first or second printable in our dictionary page series, be sure to check out the earlier Friday posts in this month. Hello friends, Marjolaine here. 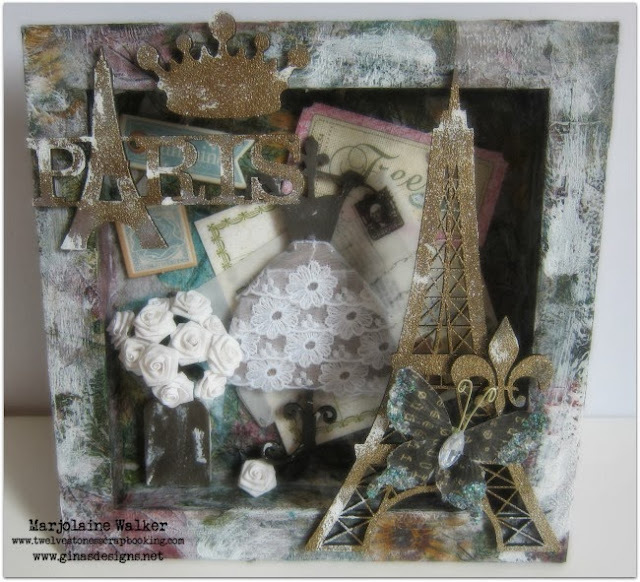 This week I've been playing with the Paris shadow box and I'm loving how it turned out. The box is super easy to assemble, I used Zip dry to adhere the pieces together. 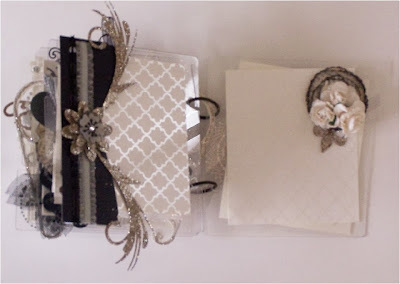 I used some beautiful napkins and decoupaged them onto the box. I also smeared a bit of gesso on the surface to age the box. 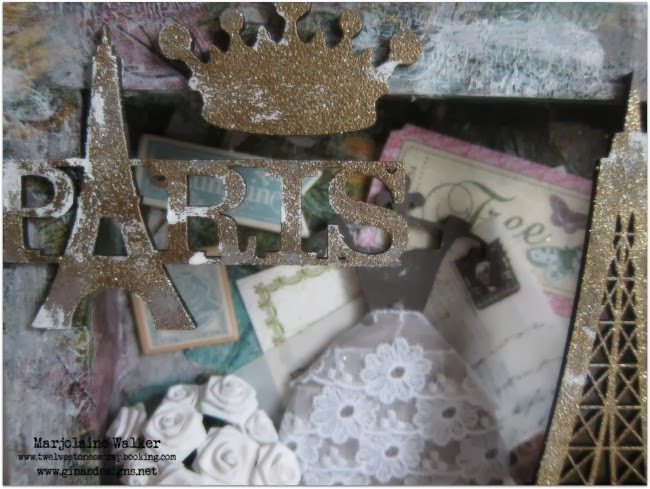 Some of the chipboard pieces are covered with Zing embossing powder and distressed with gesso, others are colored with a grey big brush marker. Which is your favorite shadow box from Gina's Designs? Leave a comment to let us know! I did it, I graduated!